BIDDEFORD, ME—Realizing it was almost entirely composed of hard, frozen chunks of ice, a densely packed snowball could reportedly tell Monday it was going to make local 9-year-old Jeremy Benkin cry. “Oh jeez, not only am I nearly solid, but I’m pretty big too—I’m going to absolutely destroy this kid,” said the snowball, noting that the completely oblivious child standing several feet away would most likely hit the ground upon being struck and, after the initial second or two of shock wore off, begin bawling at the top of his lungs. “I think I’ve got a couple shards of ice that will leave one hell of a mark on this kid’s face. 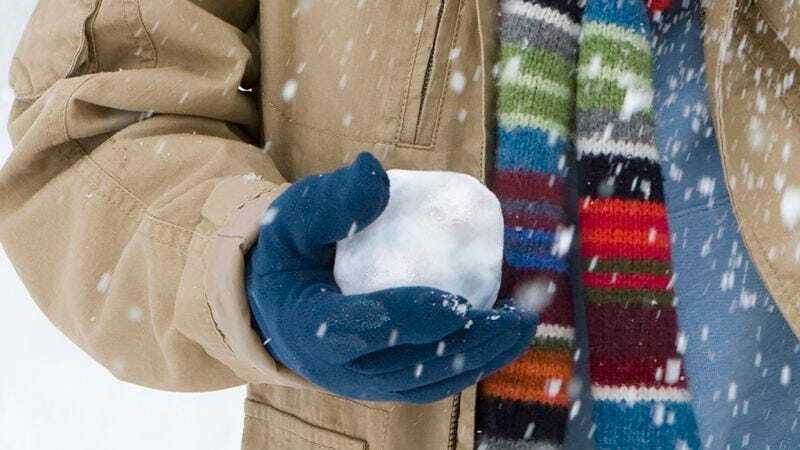 God, he’s probably going to run screaming straight to his mom, and she’ll make everyone come inside.” At press time, the snowball reportedly expressed its disappointment after it failed to even break the kid’s skin.